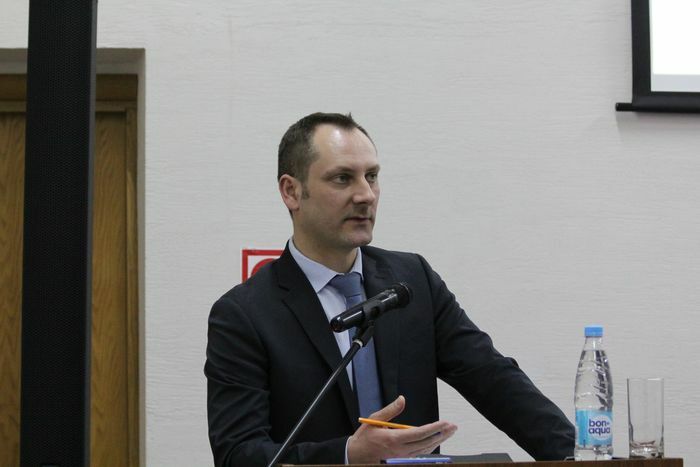 On 19 December 2018 Oleksandr Ovchynnykov participated in the seminar on the case-law of the European Court of Human Rights in Minsk (Belarus). This semnar was jointly organised by the Council of Europe and the Supreme Court of Belarus. Oleksandr Ovchynnykov spoke on the rights of suspects and accused in criminal cases guaranteed by the European Convention on Human Rights. Detailed information about the seminar is also available on the website of the Supreme Court of Belarus: http://court.gov.by/ru/justice/press_office/01b366ec452b449d.html.